The recorded history of Lahore, the second largest city-district of Pakistan, covers thousands of years. Originally the capital and largest city of the Punjab region, it has since its creation changed hands from Hindu, Buddhist, Greek, Muslim, Sikh and British rule to becoming the cultural capital and the heart of modern-day Pakistan. A mythological legend, based on oral traditions, states that Lahore was named after Lava, son of the Hindu god Rama, who supposedly founded the city. To this day, the Lahore Fort has a vacant temple dedicated to Lava (also pronounced Loh, hence “Loh-awar” or The Fort of Loh). Likewise, the Ravi River that flows through northern Lahore was named for the Hindu goddess Durga. Ptolemy, the celebrated astronomer and geographer, mentions in his Geographia a city called Labokla situated on the route between the Indus river and Palibothra or Pataliputra (Patna), in a tract of country called Kasperia (Kashmir), described as extending along the rivers Bidastes or Vitasta (Jhelum), Sandabal or Chandra Bhaga (Chenab), and Adris or Iravati (Ravi). The Walled City of Lahore known locally as the “Un-droone Shehr” (Inner City) is the oldest and most historic part of Lahore. 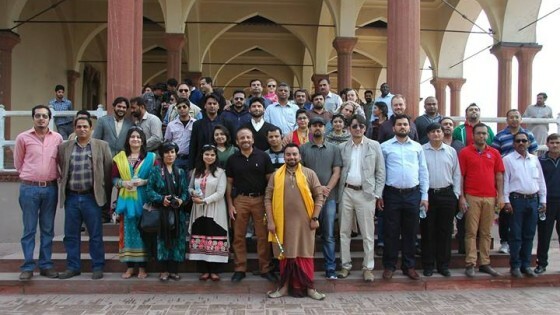 The Punjab government embarked on a major project in 2009 to restore the Royal Trail (Shahi Guzar Gah) from Akbari Gate to the Lahore Fort with the help of the World Bank under the Sustainable Development of the Walled City of Lahore (SDWCL) project. 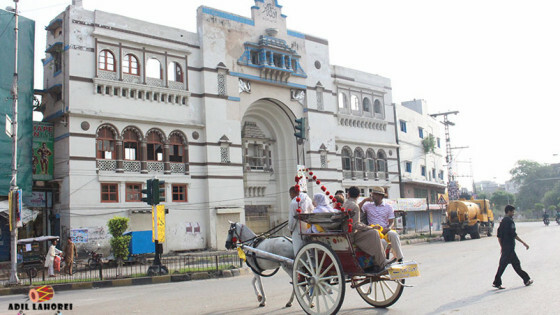 The project aims at the Walled City development, at exploring and highlighting economic potential of the Walled City as a cultural heritage, exploring and highlighting the benefits of the SWDCL project for the residents, and at soliciting suggestions regarding maintenance of development and conservation of the Walled City. The present day Lahore is a three-in-one city. That is why, when one visits Lahore; he finds three different cities – each distinguished from other in one way or other. The old city – existed for at least a thousand years – developed in and around circular road. Similarly, the British built Lahore covers the area from Mayo Hospital to the Canal Bank on the east. Unquestionably, third Lahore which includes various posh localities such as Gulberg, Bahria Town, Defence Housing Authority along with several others developed after the independence. Samnabad is a major residential area and administrative subdivision of Lahore, Pakistan. It is the one of Oldest Posh areas of Lahore and located in the center of City.